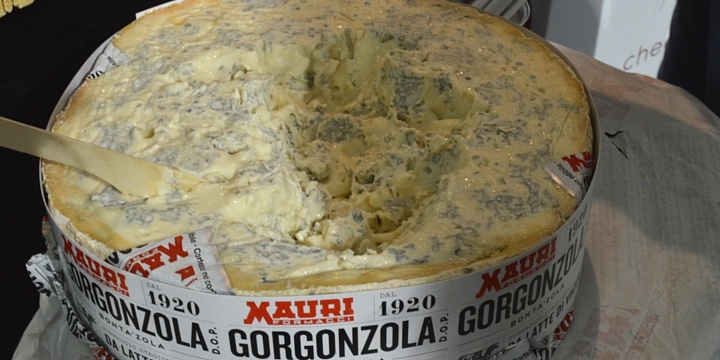 When I wrote I was going to the International Cheese Awards, I wished for a local winner- and my dream came true! 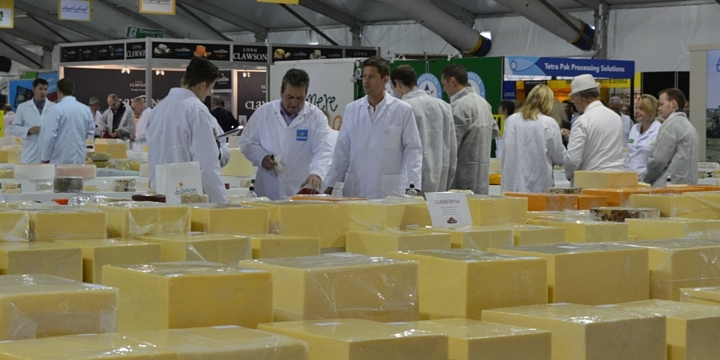 The Lancashire cheesemakers Greenfields Dairy won Supreme Champion for their crumbly Lancashire. I am thrilled that a traditional, family dairy won- and they also bagged two golds and a silver. My husband’s idea of heaven! I harbour a dream that one day I will have my own deli in some affluent rural idyll so I spent my day at the awards stocking my virtual chillers and mentally awarding gongs of my own. A highlight was spending some time with the Irish cheesemakers. Cooleeney Farm make brie style cheeses. Goats milk, cows milk, smoked… it was all delicious. There isn’t a full list of suppliers on the website so I will be keeping my eyes open and hope to find it closer to home. Bookham and Harrison won my award for best packaging. 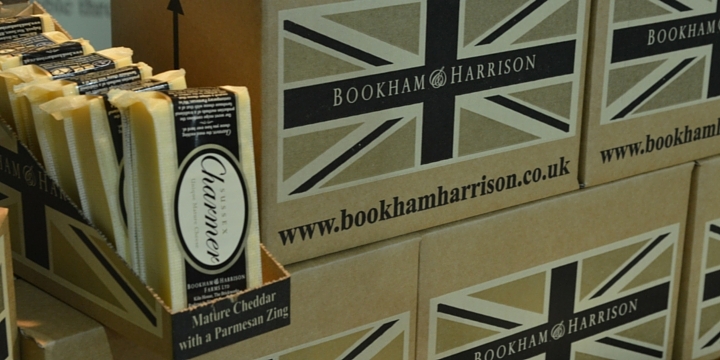 Sleek brown boxes of Sussex Charmer; a mature cheddar with ‘a parmesan zing’ – I didn’t try it but it walked away with a gold award so it’s another to put on my to-try list. 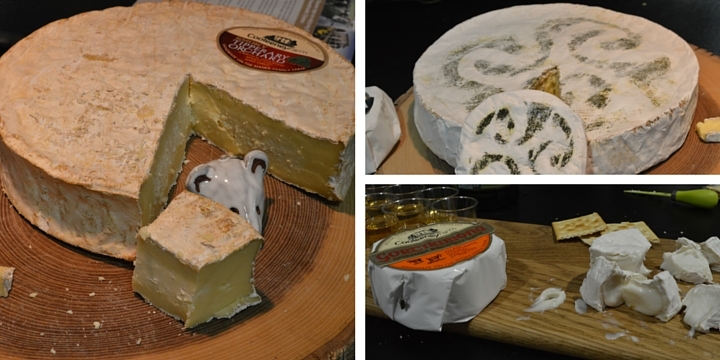 One of my favourites from last year, Cheshire’s Orsom Cheese, were back. 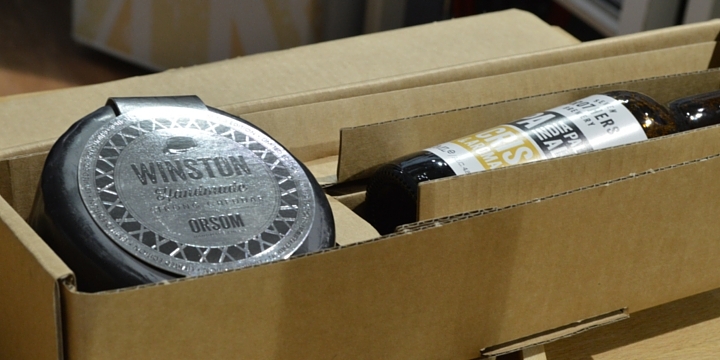 They’ve taking the guess work out of pairing cheese and booze by packaging up their Winston with an IPA in a very stylish gift box. Such a good idea. I can’t begin to tell you how big this parmasan wheel was! The cheese awards cover literally every type of cheese imaginable. From nutty matured parmasans, to heady blues and right through to child faves (and let’s face it grown ups like ‘em too) such as Babybel. It’s not about being a cheese snob it’s about the whole industry coming together and celebrating what they do. 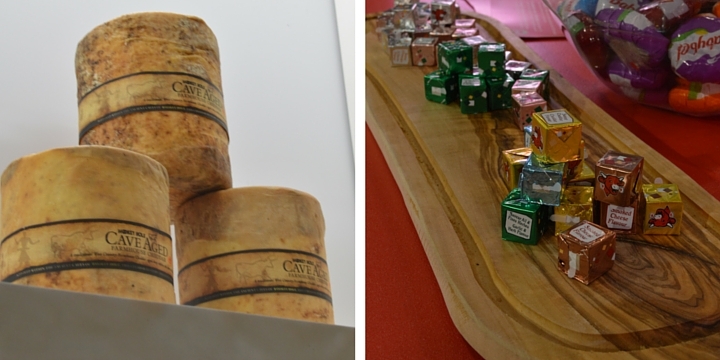 And talking of Babybel, Bel won my best furniture at a trade show award – who doesn’t want to rest their brew on a Laughing Cow triangle?! I am very democratic when it comes to my tastes in cheese. You know what, plastic cheese slices have a place in my life – you can’t beat them on white toasty bread with a hangover! Alas as I am temporarily off the booze I won’t be doing that for a while. But equally I love the cheese counter at Harvey Nichols in Manchester where they will let you try something new before you commit to buying it, and at the Cheshire Smokehouse where there is a fantastic array. 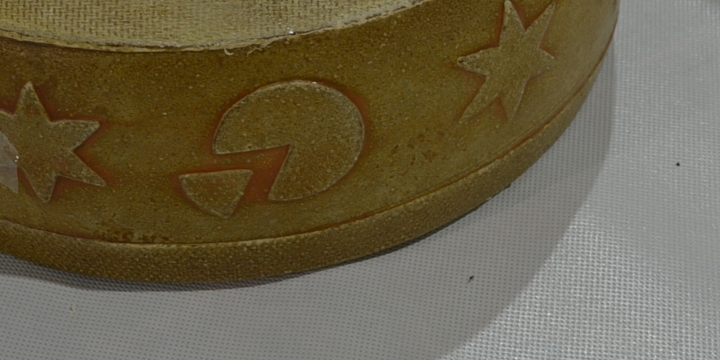 A cheese on the judging table – no idea what as they are anonymous but pretty! Check out all of the winners on the International Cheese Awards website, then head down to your nearest shop and try something new. If you have a dairy gem which you think I’d love, let me know in the comments or on social media and spread the cheesy love around!